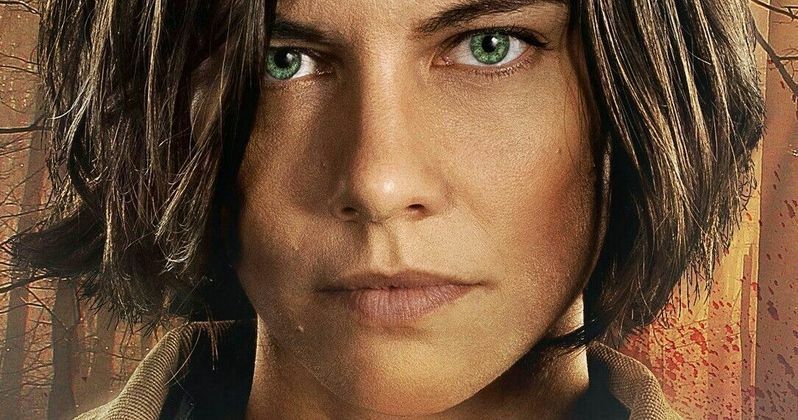 The future of Maggie Greene-Rhee in The Walking Dead universe still remains uncertain. Since being written out of the show due to Lauren Cohan's accepting a starring role elsewhere, it was beginning to seem like we may have seen the end of the character. However, because Maggie is still alive, anything is possible in regards to her future. With AMC previously teasing at least one more spinoff of The Walking Dead to come in addition to Fear the Walking Dead, some fans might be wondering if a companion series starring Maggie could be in the works. Recently, Cohan herself was asked point blank about the possibility, and while nothing is currently in development, the actress admits that preliminary discussions about it have taken place. "There may have been some conversations but everything is so early days ambiguous. We'll have to see what happens." Having spent over eight seasons on The Walking Dead, Cohan's last appearance on the show came in season 9's fifth episode. A time jump moved the story forward six years ahead, revealing Maggie has since moved on with her baby. This leaves the door open for the character to return to the series in some fashion, and showrunner Angela Kang has made it clear she hopes to bring Maggie back somehow in season 10. Cohan clarified that her negotiations with AMC didn't go badly, and she departed the series on good terms. However, whether or not we see Cohan's return to the Walking Dead universe remains to be seen, and might even depend on the success of Cohan's new series. It would make sense for the concept of a Maggie spinoff to be discussed. AMC has already announced that another departing star, Andrew Lincoln, will reprise the role of Rick Grimes in three Walking Dead movies for AMC. Because Rick's story will get its own conclusion unrelated to the current timeline of the parent series, it's reasonable to think the same might happen with Maggie, who's been a popular character since her introduction in season 2. Cohan certainly has the ability to be at the forefront of her own series, but she will need to get on the same page as AMC in terms of scheduling and contract negotiations. One person who isn't going anywhere is the man who plays Daryl Dixon, Norman Reedus. Given the exorbitant amount of money AMC is paying keep him around, it would seem Daryl's chances of survival are extremely high. With so many major players leaving in just the past couple seasons, it should be comforting for longtime fans to know that at least one main character from the original season will be around for the long haul. Considering the popularity of the Carol character as well, hopefully Melissa McBride's run on the show will also continue for some time to come. At this point, Reedus and McBride are the only two stars from the show's original season to remain on The Walking Dead, following the exits of Rick and Carl Grimes. Maggie won't be around to see it, but the show's current survivors will next be facing a major threat from the show's newest group of villains. The Whisperers are here, and it's going to be interesting to see how the group deals with the terrifying new menace. You can see what happens when new episodes of The Walking Dead resume on Feb. 10. This information comes to us from Deadline.